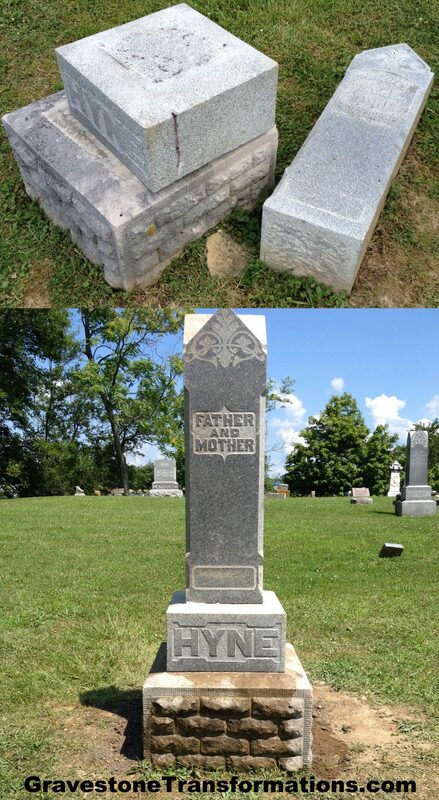 Preserving History, One Gravestone at a Time. 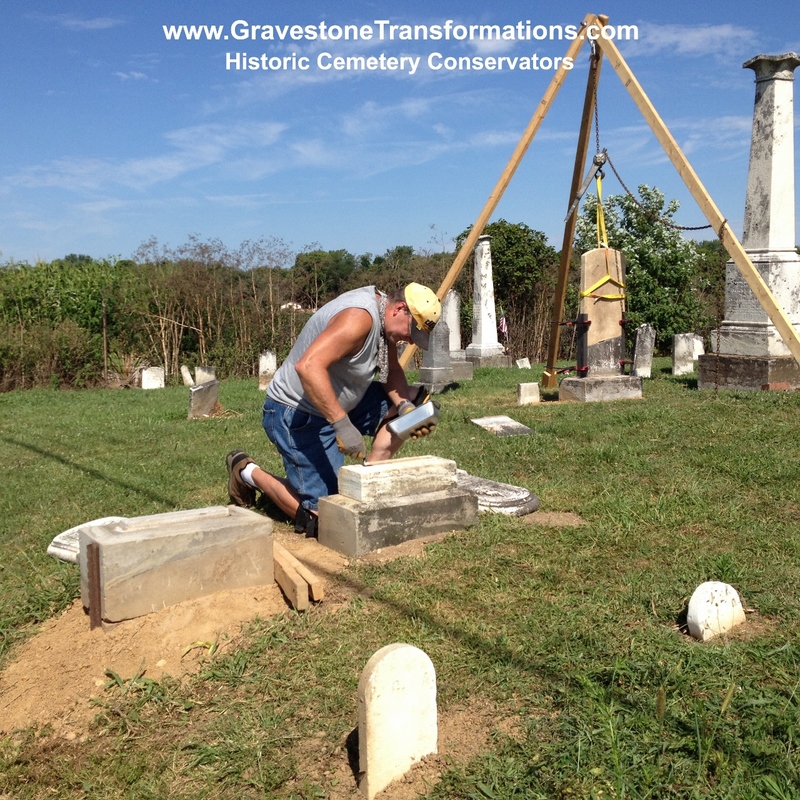 Gravestone Transformations is a historic cemetery conservator and dedicated to preserving monuments. We proudly offer a variety of services for your ancestor’s resting place. Depending on a cemeteries terrain, as well as, a memorials foundation, monuments can lean over time. That uneven settling can be stressful on any gravestone; whether a single tablet or one made of multiple pieces. 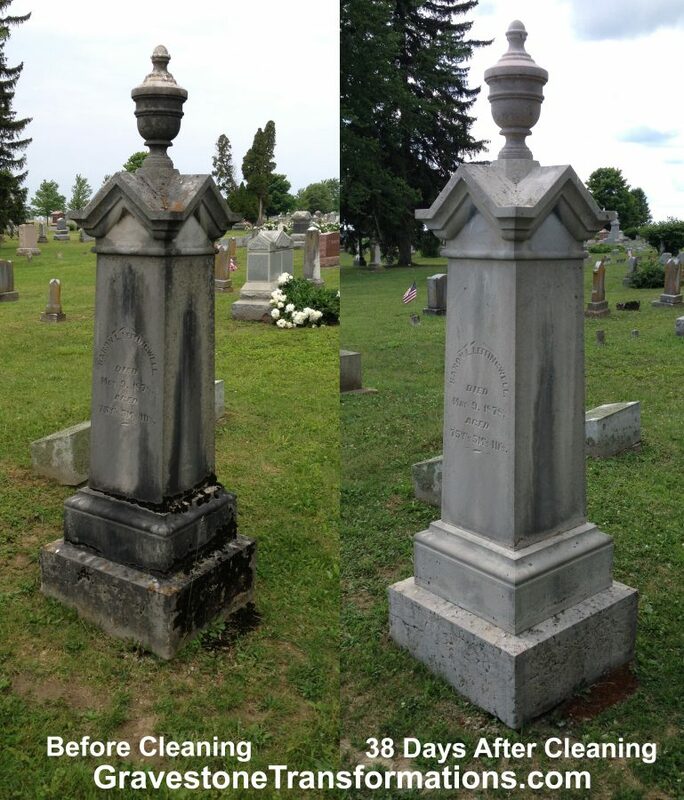 Stabilization techniques can be used to retain the structural integrity of a gravestone with minimal intervention to its historic architecture. With proper monument maintenance, our ancestor’s historical artifact can be preserved for many generations to come. Before repairing or resetting a stone, we perform an assessment. The assessment determines the best technique to use that will slow the deterioration process and preserve the stone. For a full list of our services, click HERE. To view more of our portfolio, click HERE. Outdoor elements play a key role in the weathering and erosion of our ancestor’s monuments. Algae, fungi, lichen, mold and plant life can trap moisture on the stone, as well as, under the surface. By cleaning and eliminating those elements, our ancestor’s monuments can be preserved for generations to come. For a full list of our services, click HERE. Our client’s receive before and after photos on each of our contracted services. To view more of our portfolio, click HERE. For a complete list of our articles, click HERE. 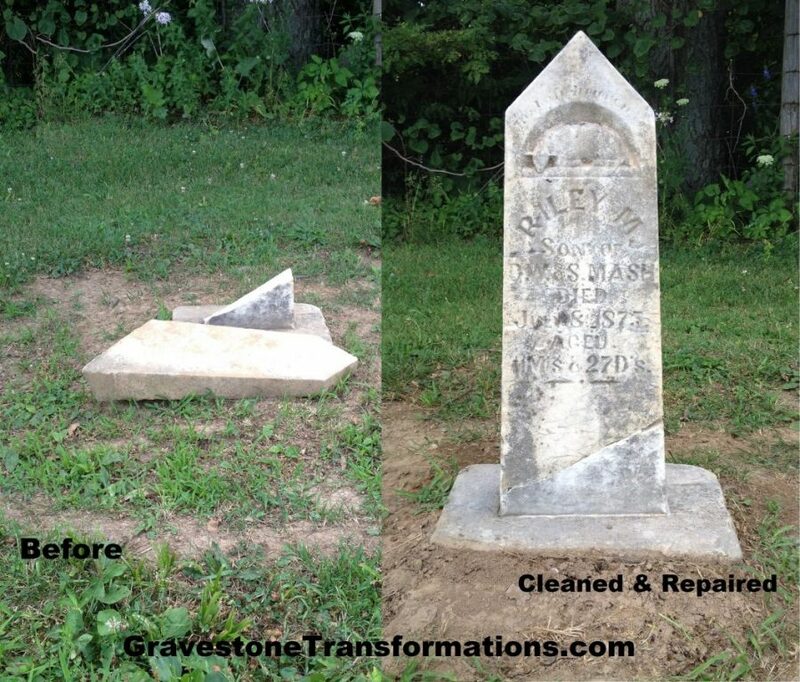 Gravestone Transformations Offers A Convenient Way To Donate To A Cemetery Project Or An Ancestor’s Gravestone Project. 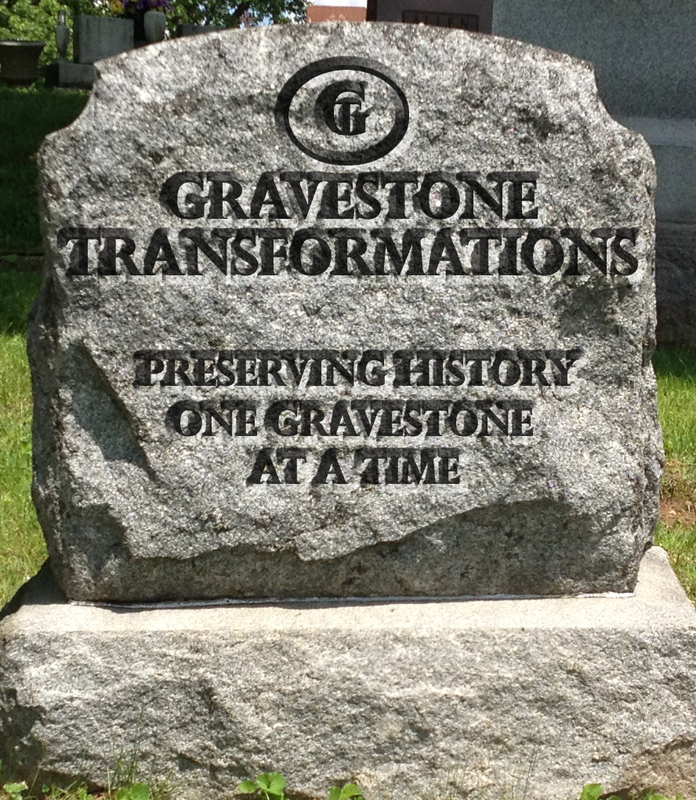 Gravestone Transformations now offers a donation page on their website. To view their donation page, click HERE. Their donation page makes it convenient for communities to help the conservation and preservation efforts in their local historic cemeteries. 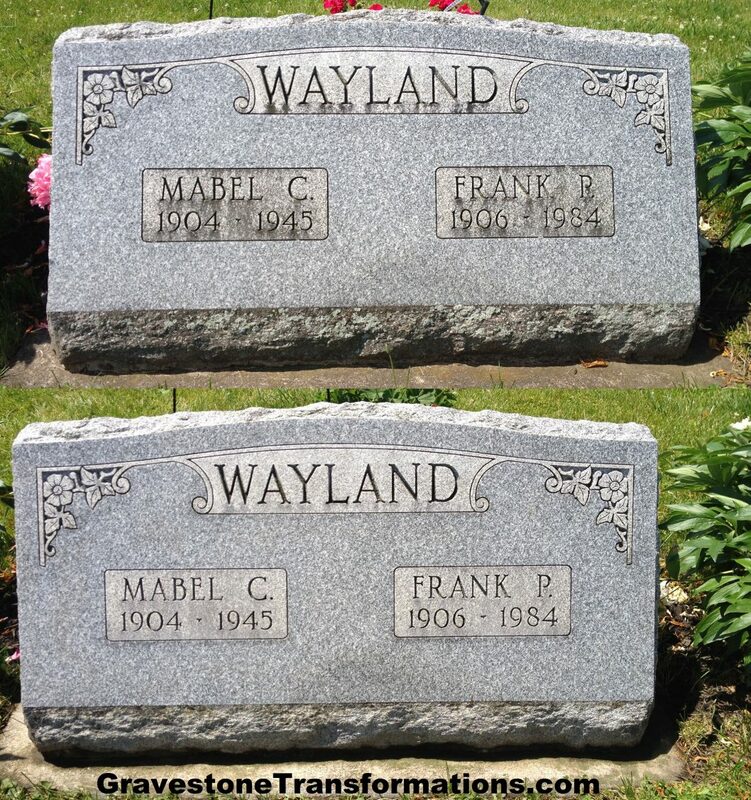 The donation page also makes it convenient for families to preserve an ancestor’s gravestone. Do you have a historic cemetery that needs preserved in your local community? Do you have a family cemetery or an ancestor’s gravestone that needs preservation efforts made? 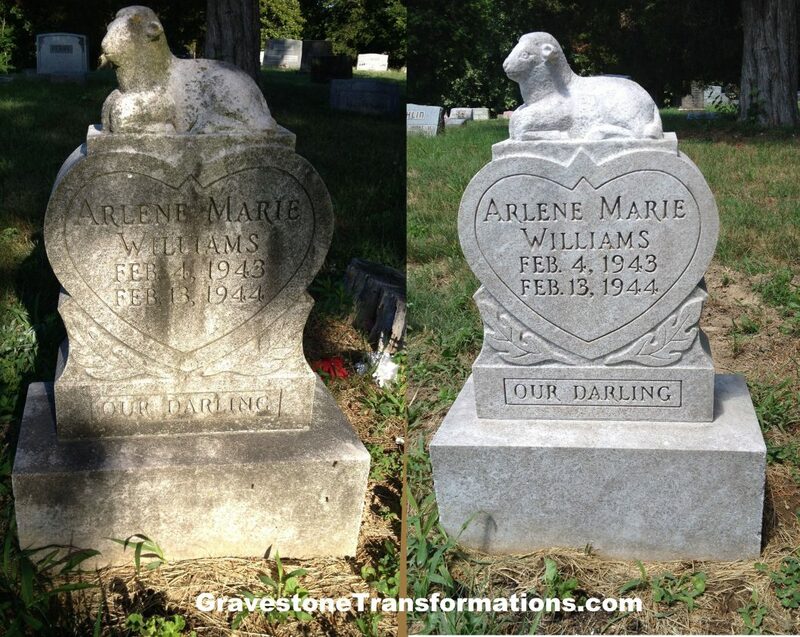 Contact Gravestone Transformations. They’re located in Ohio, but their service area also includes the surrounding states. Let Our Customers Do The Talking……. My Uncle’s Veteran’s monument now looks like the tribute he deserves. Thank you for cleaning it. It”s a great service you’re providing! – Barry F, Ohio. 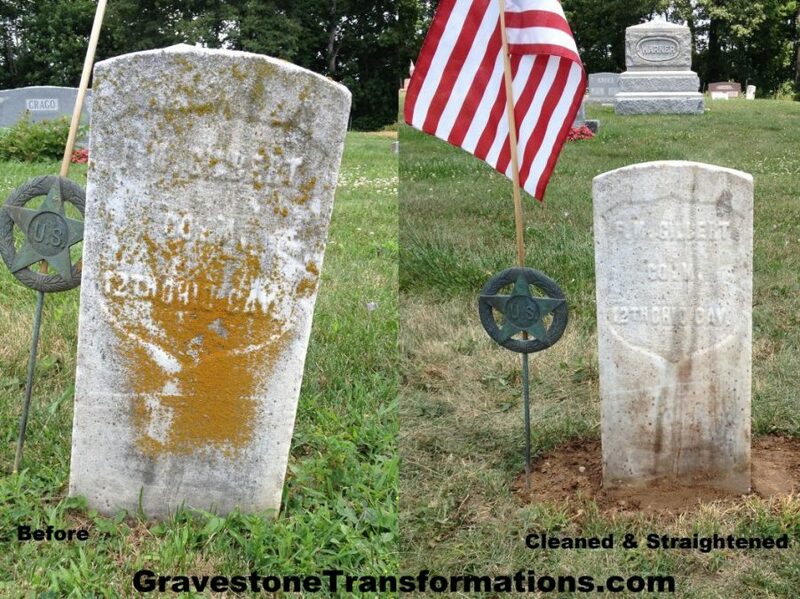 My Great, Great Grandfather’s Veteran’s marker is an incredible transformation. I wasn’t sure if any of the mold and growth would come off. Thank you for doing such a great job. – Deb S, Ohio. Thank you for locating my 4th Great Grandparents in Brown’s Chapel Cemetery and providing me with a monument examination and photos. I know it was a big job and I appreciate every effort you put into cleaning & preserving their stone. It looks beautiful and I feel certain their memorial will be here another 130 years. 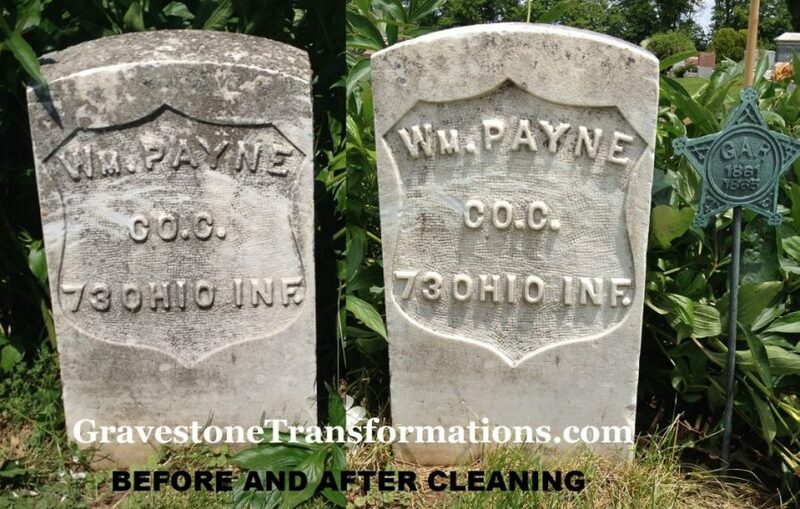 I highly recommend Gravestone Transformations! Thank you so much! – Sherri, Ohio. Contact us HERE to request service or an estimate!